I'm proper excited about this... As you know I LOVE PLANNERS! I adore paper planners, don't get me wrong computers are great but sometimes it's just nice to sit on the sofa with a Planner on your knee and a pen in your hand and make notes and plan the week/month ahead. Don't you think? I'm happy right now because as of today the 2017 Desire Map Planner Collection is available to purchase! It’s a really different, yet fabulous way to plan your day because it puts your soul on the agenda. The 2017 Desire Map Planner is so cool as it helps you puts your desires on the map, and helps you plan your days and weeks according to how you most want to feel so it's a little different to other planners out there on the market. 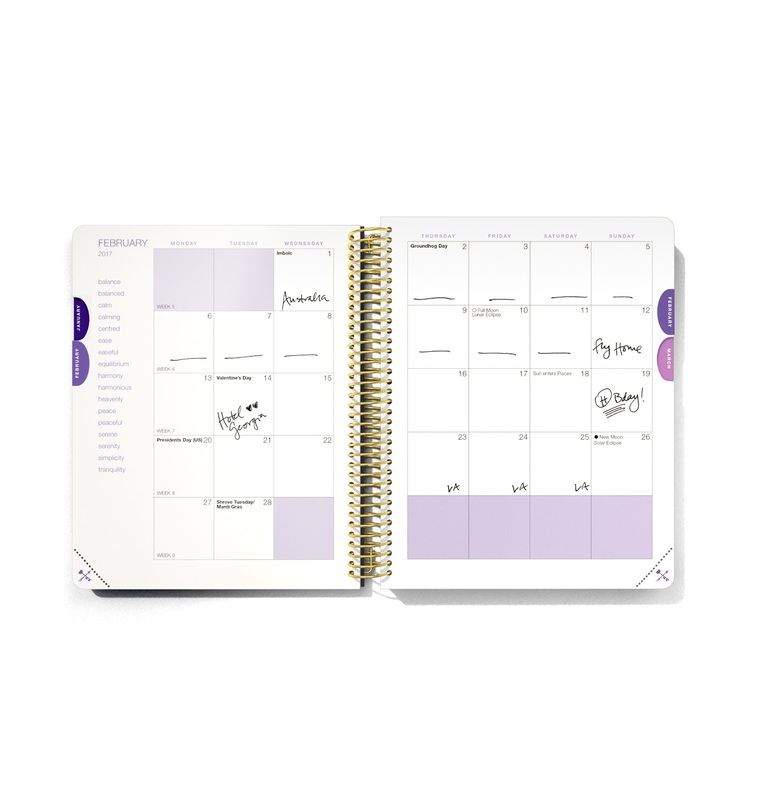 This planner is based around the popular book and workbook by Danielle LaPorte, The Desire Map, this planner system incorporates your soul and your to-do list; your gratitude and your goals; your deepest desires with your day-to-day. The DAILY planner is fab for the highly scheduled, detailed thinkers, and awesome A-types who love keeping track of all the big and little things. This planner takes you through the year day by day, with unique soul prompts to limber up your mind before you write, scheduling space, #Truthbombs, a Stop Doing list (because saying no is revolutionary) and a super condensed list called 3 Things so you can get your most important to-dos done. When you’re clear on how you want to feel, decisions come to you more easily, you’ll know when to say “No” and when to say “Hell, YES!” I blooming love this planner as it really helps you to focus on how you want to feel and where you want to be in life!